Republican presidential candidate Donald Trump's claim Sunday that his self-named university got a "A rating" from the Better Business Bureau is true — but that's only half the story. 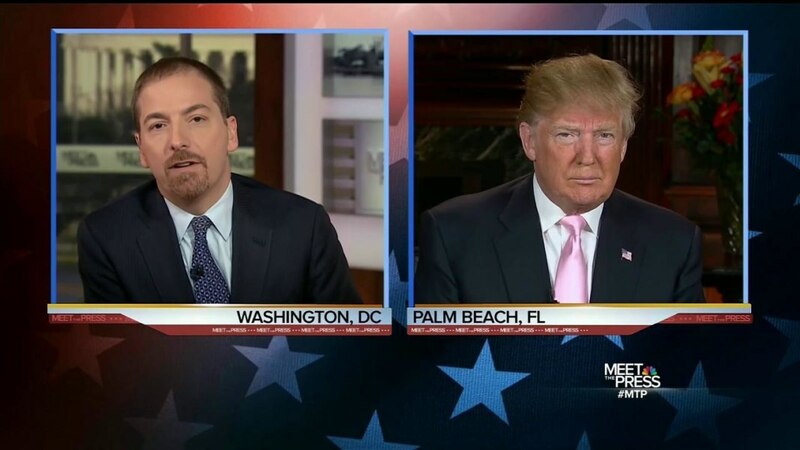 In an interview on NBC's "Meet the Press," Trump defended Trump University, which largely shut down in 2011 and is the subject of multiple lawsuits alleging false marketing for what was essentially an entrepreneurship seminar, not a college. The course got a "98 percent approval rating and high marks" from participants, Trump said on "Meet the Press," adding: "We have an A from the Better Business Bureau." Trump repeated the BBB claim twice more in the same response. The BBB said a statement to NBC News on Sunday that Trump University currently has no rating because "the company is believed to be out of business." But when it was assessed by BBB Serving Metro New York, the Trump Entrepreneur Initiative — the name under which Trump University has most recently operated — had, indeed, gotten the BBB's top rating in the past, it said. In fact, according to the rating agency, Trump appears to have undersold things — at times in the past, his "university" had an A-plus rating. But it's not all good news for the Republican front-runner. The BBB's ratings are "dynamic" and are based on a constantly shifting algorithm, meaning they're changing all the time. And over the years, the company’s rating had fallen as far as D-minus — an assessment Trump chose not to mention Sunday.